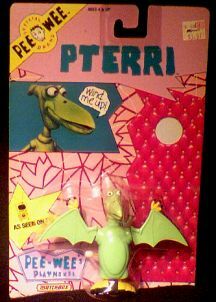 Cool 3 1/2-inch tall wind-up figure of the high-strung character from Pee Wee's Playhouse. Card still has original price sticker. Website design and hosting by Sohodojo Business Services. Item 281 of 466 items displayed in viewer. 0 items in cart.